With revenue dropping this past quarter following a slump, Japan-based messaging firm Line is going back to what it knows best with a new $20 million joint venture to create mobile game. The company owned by Korean Internet giant Naver, has partnered with Korean game development firm LongTu to create Hong Kong-based Lantu Games. The 50-50 venture (each side is putting in $10 million) will develop and distribute “high-quality, Asia-made games to players around the world” when it begins operations later this month. Line seems poised for a public listing this year — it reportedly aborted a proposed dual US-Japan IPO in 2015 — but it suffered a set back when overall revenue for its messaging service, which claims 211 million active users worldwide, dipped one percent quarter-on-quarter in its most recent quarter of business. The company pulled in an impressive $224 million in total sales for Q2 2015 — monetizing chat services isn’t easy — but it needs to show it can continue to grow both its user base and revenue if it is to impress prospective investors ahead of any listing. 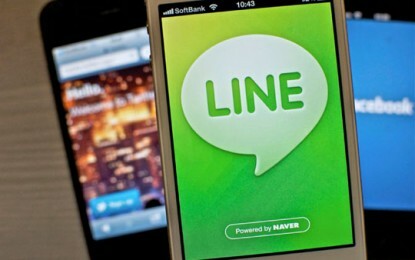 Beyond revenue, Line said also that new releases may help expand its user base into new parts of the world — currently half of its active users are based in just three countries: Japan, Thailand and Taiwan. Turning to games makes a lot of sense since Line makes around half of its money from its social games platform, which counts over 40 titles that hook into its messaging app to allow players to share scores with friends, battle each other and more. Line previously invested in Japan’s Gumi and Korea’s 4:33 Labs to create new titles. Adding another games partner means more content for a very important part of the firm’s business. LongTu’s biggest hit to date has been Dao Ta Chuan Qi, a game marketed at China that attracted over 80 million downloads.